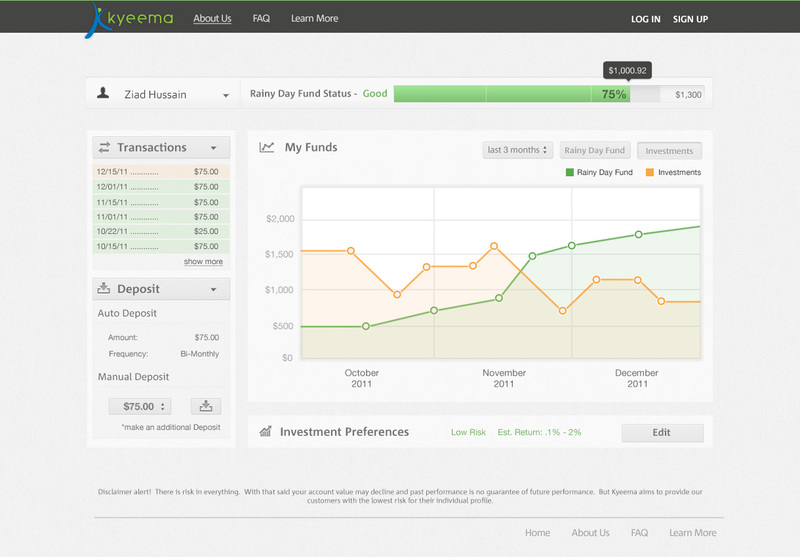 Kyeema was a start up concept with a simple solution to financial security for the millenial generation. The idea was to create a simple way for the younger generation to invest and save without the complexity of doing it themselves or going through a broker. 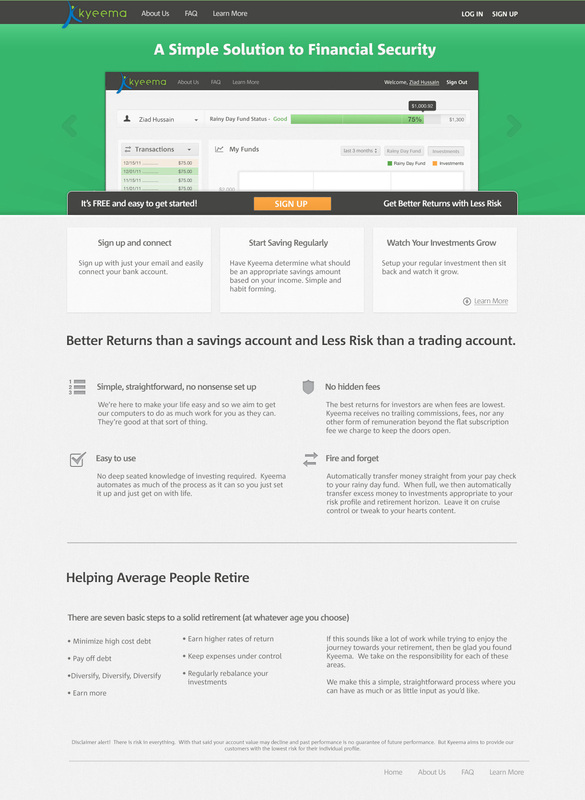 I was brought on to create a design that helped portray that vision of simplicity in a beta-launch. Create a homepage, about page, and a simple dashboard for the user to view their account, make deposits, and make investments. 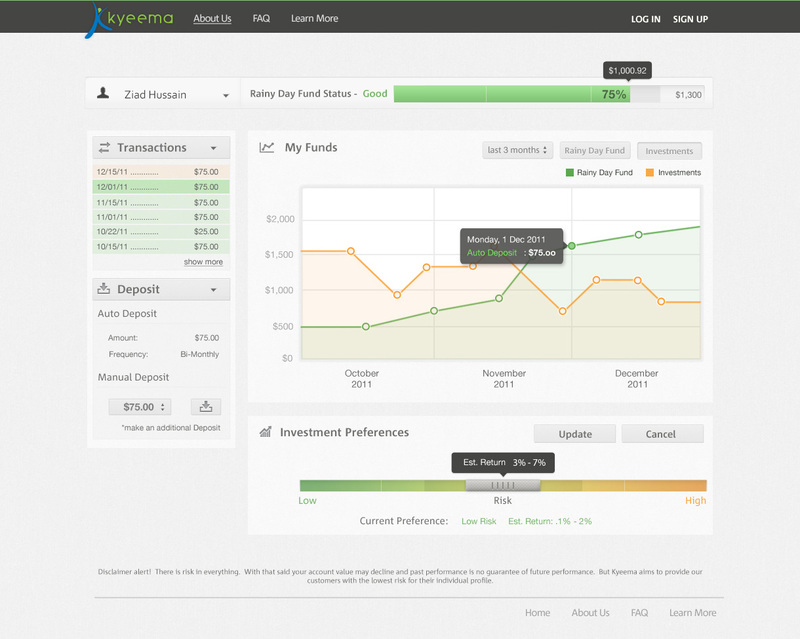 Just pull a slider to change the risk vs reward and select an amount of money for the user to invest and always keep some savings in a rainy day fund.